Founded in Hull, in 1965, Hider Food Imports Ltd., is one of the market leaders in the procurement and supply of high quality snack products within the wholesale/retail sectors; with over 50 years’ experience, they offer an extensive range of branded and private label products that get snapped-up by retailers. Ultimate Digital have been proudly working alongside Hider for 5 years, helping them to carefully design and print their high-end packaging for Hider’s own-brand products, ranging from pretzels to chocolate-coated raisins and much more. 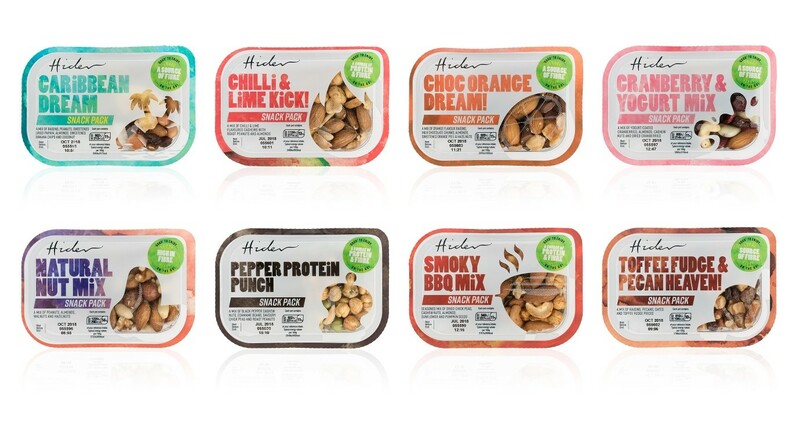 Hider’s latest launch of their 45g impulse snack-packs has allowed Ultimate Digital to digitally print a vibrant range of lidding-film that makes a real impact on retailer shelves. Ultimate Digital printed 8 different designs, each 5 across on one of our HP 20,000 presses. The total run length was only 8,000 metres and 74kg of film but 74,000 impressions were printed across the different varieties, allowing Hider to produce the complete range over a very short print-run to test this new market. Digital-print will also enable Hider, in the future, to be reactive to market demands, allowing them to produce a range of different quantities to suit popular demand with every different print order. These cheeky little snack-packs are the perfect addition to any lunch-bag or on-the-go lifestyle. 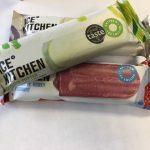 Duncan Hider, Managing Director, commented on the recent launch by saying: ‘Hider is renowned for producing premium quality products and we needed a printing partner and printing process which reflected this for our Snack Packs. The outstanding results achieved by printing digitally exceeded all of our expectations and led to the range being launched with a major UK retailer; that is why we continue to work with Ultimate to provide cutting-edge products, both in terms of ingredients and print’.